Events and weddings are some of the most common and popular social gatherings for everyone and wedding favors are exchanged frequently on these beautiful occasions. 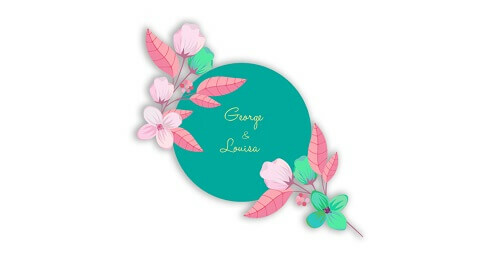 Event and Wedding Labels have the ability to make your wedding favors or gifts look adorable and fancy matching the embellishments at your occasions perfectly and Go Stickers provide some of the most beautiful and charming Wedding Label options suitable for many types of wedding favors and their packaging. Our Wedding Stickers and labels come at cheapest wholesale prices and on bulk orders, we also offer free shipping with free printing and cutting equipment as well. with custom style and size. Event Personalized Labels are all about their complementing designs for the particular event or occasions they are to be used for and Go Stickers guarantee some of the most event appropriate designs for our event labels for all the different occasions. Our Wedding Favor Bag Labels are perfect for weddings usage, yearly events based labels like Christmas labels or Halloween labels are specified for events usage and all the other particular events based labels are available as well. All these different labels are manufactured with suitable materials and printing with suitable printed designs to match our client’s needs perfectly. The Personalized Treat Bags for Weddings labels by Go Stickers are printed on high tech printing equipment and high-quality inks that guarantee the most contrasting and accurate printing. Our Wedding Favor Label solutions are perfect for weddings of all types and can be customized in printing designs exactly according to client requirements. Additionally, we use the most precise cutting die equipment for our Personalized Wedding Sticker and label products enabling them to have the most accurate shapes without any rough finished edges or corners at all. Whatever label or printing designs you are looking for, we will fulfill all your requirements most efficiently. The Personalized Stickers for Wedding Invitations or wedding favors by Go Stickers are manufactured with the highest quality composite materials that make them one of the most durable options in the entire industry. The flexible thin materials of our wedding favor bag labels make them perfect for any type of product or surface usage and they offer any size or dimensions you might want them in as well. 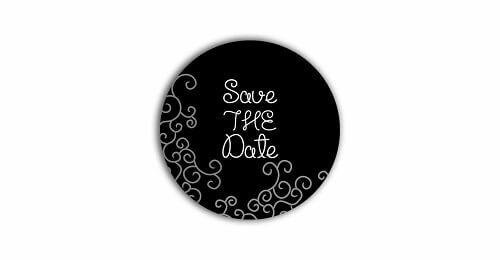 Regardless of the nature of the surface they are used on or their usage scenarios, our event and wedding labels will last you the longest times possible while coming at cheapest wholesale prices at the same time. You will not find better value for money elsewhere that what we will offer you and our product quality speaks for itself providing you maximum profit margins for bulk usage as well. The tailored cheapest wholesale offers for wedding favor stickers or labels by Go Stickers allow label resellers the maximum profit margins while not compromising on material quality, printing accuracy, and precise die-cut designs or top-level finishes at all. We aim to build long lasting business relationships with our clients by providing highest material quality at cheapest wholesale prices and other attractive bulk offers including free shipping and free printing and cutting equipment as well. You will feel the difference once you do business with us. Who does not love stickers? They have stickers comes and different kinds of saves and sizes which makes the respective products very attractive and unique so that they can do the job of endorsing the product or any services. Die cut decals are basically acknowledged as custom shaped stickers. The use of unique cutter which exclusively gives the sticker a look which you desired and this process gets you the sticker which is called as die-cut stickers or decals. My name is Nick, and we had a very great experience with Go stickers. I bought the labels for my children from them and specifically ask them to make the label graphical. Gladly they have fulfilled my requirement, and my kids are taking the labels along with them to the schools and has stamped them on the books. I can fully recommend them without any hesitation. Making my kids happy was the biggest ask for me. They have been bullied in their schools, and also one of my kid has been bullied in the college. During that encounter, their books have been stolen, and we didn't know that whom took it. That day I realised that I should have bought the label to make that book exclusive to my children. I researched on go stickers and I am very happy to know them and till today I am buying different kinds of labels from them and I am highly satisfied. I own a company where we sell paper roll. When I researched on the Internet about how I can market my paper roll around the city, then I came to know that the labels will be the cheapest and most profitable way. I bought the paper roll labels from them and the labels had the name of my brand. The label was of high quality and one thing which I was curious about that will it be able to counter the water and I'm amazed that it did. The labels were waterproof, and also it was the same for a long time even if you use it roughly. Thanks, Go stickers we will contact you in the future too. We faced many questions from our clients that what type of brand you have. We only give our clients the card of our shop. But we were very sad that we didn't have anything to tell the client that what is the name of our brand and how much recognised we are. I am very pleased to tell you that the way Go stickers labels for our clothes helped us in this situation is unimaginable. Go stickers we love you. Subscribe to our newsletter now and stay up to date with new collections. Copyright © 2018 gostickers.us. All Rights Reserved.